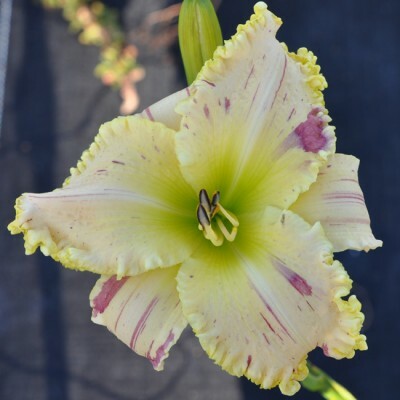 The Undefinable Kid (Nicole DeVito - 2019) Tetraploid (Undefinable x Seedling) Sev. EM Re 29" scapes, 6" flowers, 3 way branching with 19 buds. Fertile both ways.